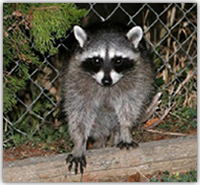 Depending on the type of Raccoon Removal problem you have, we offer numerous raccoon removal services in Indiana. We offer these services not only in Indianapolis, but all throughout Indiana. We have trappers all over the state to help with all your raccoon removal needs. Below is a short list of our raccoon removal services but we offer many more, so give us a call if you have any questions about raccoon removal in Indiana. If you happen to have damage caused by raccoons in your home or business, your insurance may cover the cost of your damaged property. Safely removing the raccoon is only one part of the problem; the second issue is the repair of the damage they caused. Luckily for you, we can handle it all and we have over 20 years of experience working with insurance companies that deal with damaged caused by raccoons. So, you can rest assure that your claim is handled professionally and in a timely manner. Give us a call for all your raccoon removal needs in Indiana, from trapping and removing raccoons to insurance claims, we can do it all. Raccoon Removal services in Indianapolis and surrounding areas. Let our trained and highly qualified trappers help with all your raccoon removal needs. 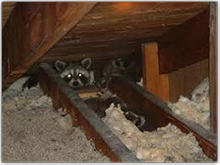 No matter what type of raccoon removal services you may need, we offer everything from raccoon traps to getting rid of raccoons in your house, attic, or on your property. With over 20 years of experience working with local Indiana wildlife, we have the knowledge to safely remove your raccoon problem. So give us a call today, for all your raccoon removal needs in Indianapolis and surrounding areas.